Viva la dolce! 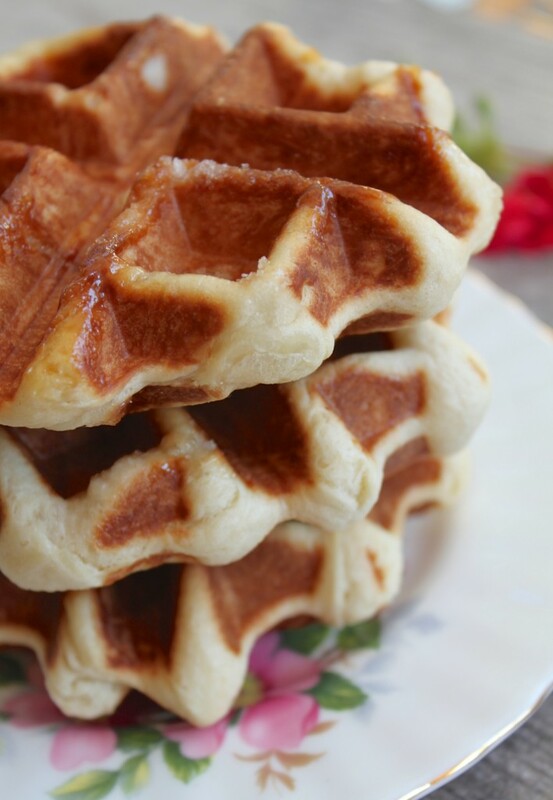 : INTERNATIONAL WAFFLES FOR MOTHER'S DAY! INTERNATIONAL WAFFLES FOR MOTHER'S DAY! Mother's Day is the perfect time to treat that special lady in your life to breakfast in bed! Whether you are making a mother's day wish list for yourself, or conjuring up ideas to surprise a mommy in your life, scrumptious waffles should definitely be included! The term, "waffle," first appeared in the English language in 1725, although, there is historical evidence of waffles being made previous to that date. With such a long history, it's no surprise there have been a few adaptations to the original recipe along the way. Today, with all the various sweet and savoury options, you can have waffles for breakie, lunch or dinner! Your choice! Scroll through below to check out how various countries add their unique twist to this Belgian culinary speciality. Italy's version of "waffles" is quite different from the fluffy version most are used to. 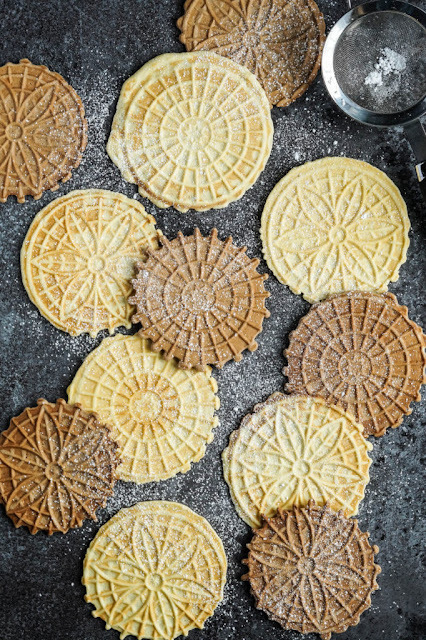 Pizzelle are thin and usually crunchy. They are especially tasty when topped with nutella or jam! Find this recipe at Tara's Multicultural Table. 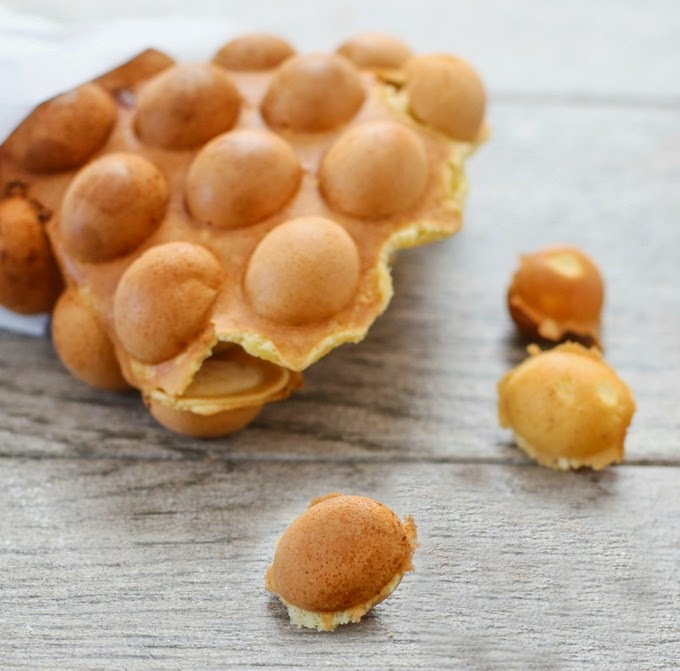 For a true Belgian waffle recipe - made with yeast dough and not batter! - check out Christina's Cucina. The recipe (pictured above) was inspired from her trip to Bruges, Belgium - it doesn't get any more authentic than that! If you have ever had a dutch stroopwafel on it's own, I'm sure you can agree, they don't need any enhancement! 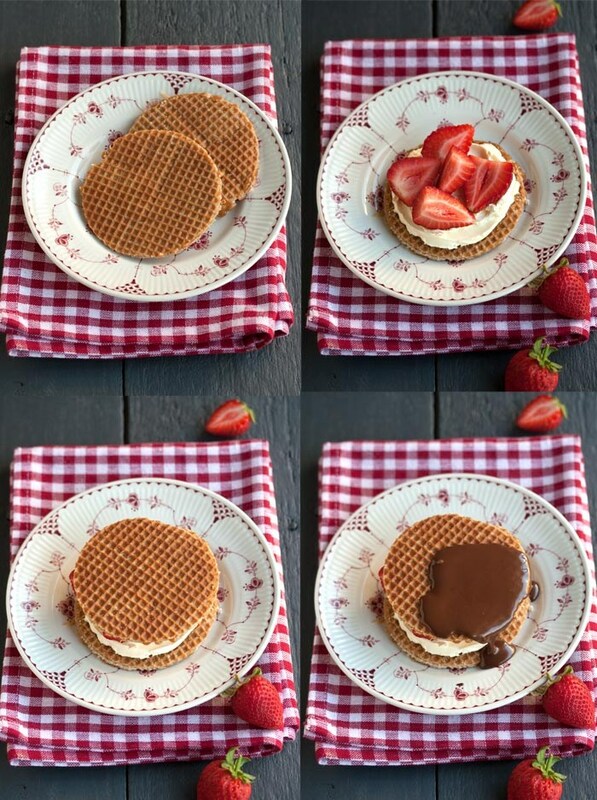 However, these stroopwafel sandwiches with strawberries, marscapone cheese and chocolate from Drizzle & Dip dare to challenge that thought. These sweet creations are simply mouthwatering! 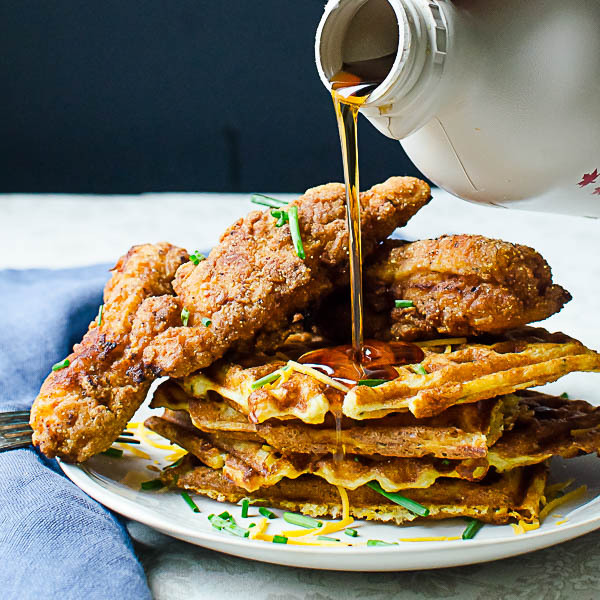 These waffles not only hold a delicious flavour, but a unique look as well! The crisp edges offer a nice contrast to the soft bubbly centres, making this "street eat," a melt-in-your-mouth favourite! Check out the recipe at Kirbie's Cravings. For a savoury option, check out this Southern recipe at Garlic & Zest. These waffles - filled with cheddar, green onions and chives - can be paired up with bacon and eggs as well, to make this more of a breakfast dish!